6 Bedroom House To Rent in London for £17,333 per Calendar Month (Calculated). 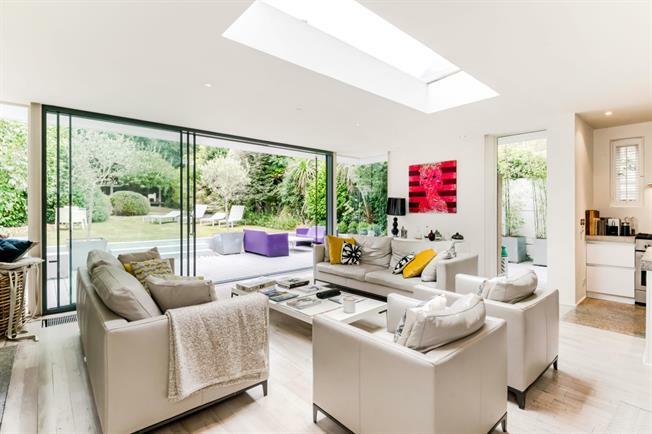 This is a stylish and unique detached 5 bedroom house, minutes away from Wimbledon Park. The ground floor comprises a reception room, study, downstairs cloakroom, utility room and stunning contemporary kitchen/dining/living area with doors leading to the garden. On the first floor there are 4 spacious double bedrooms, one with en suite shower, and a family bathroom. The master bedroom with en suite bathroom is found on the second floor, with access to the balcony with views across the landscaped garden. A dressing room or further bedroom is also found on this floor. Wimbledon Park Road is well located for the amenities of both Wimbledon Village and nearby Southfields while the green open spaces of Wimbledon Park are only moments away. The property also benefits from close proximity to the All England Lawn Tennis Club. At the front of the house is a gravel driveway with ample space for several cars. To the rear is a beautiful landscaped garden with decking area and garden room.